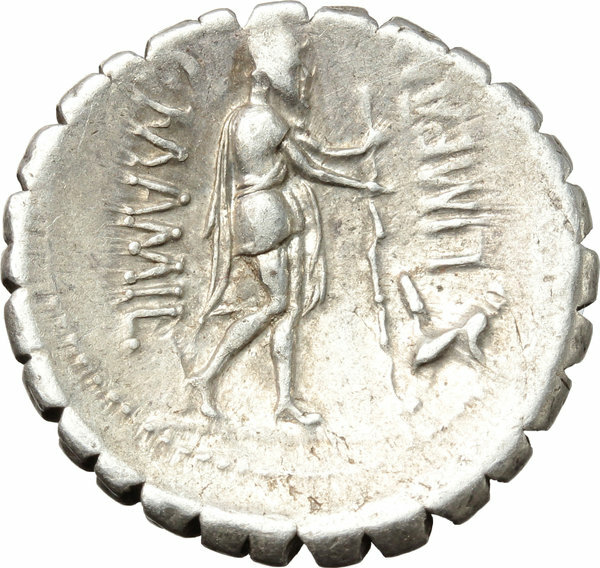 Coins 238 C. Mamilius Limetanus. 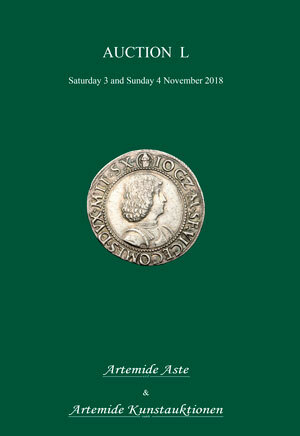 AR Denarius serratus, 82 BC. 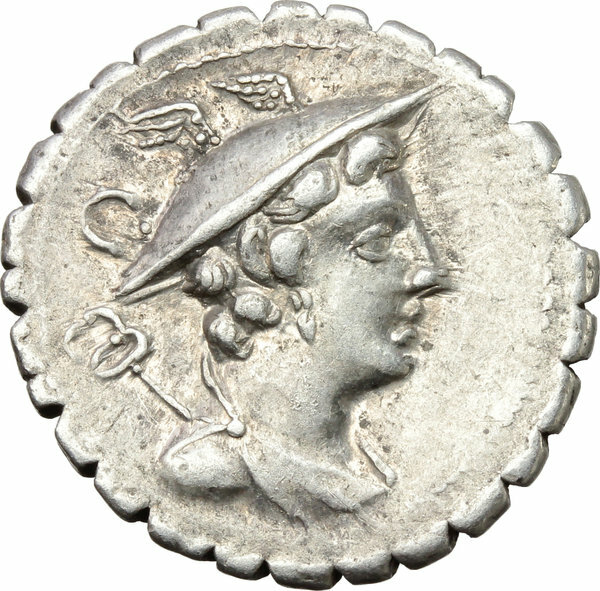 D/ Draped bust of Mercury right, wearing winged petasus; caduceus over left shoulder; above, C. R/ C. MAMIL-LIMETAN. Ulysses standing right, holding staff and extending his right hand to his dog Argus. Cr. 362/1. B. 6. AR. g. 3.90 mm. 19.50 An outstanding example, well centred on a broad flan, brilliant and lightly toned, with golden hues. EF.